Celebrity chef Jamie Oliver may have made a name for himself as the "Naked Chef" but now he's trying to make a name for him self as something else, an advocate for higher taxes. Oliver, who is opening up a Toronto restaurant, came to Canada recently to hit the media circuit to drum up new customers. But the chef didn't just stick to cooking and his food. Oliver, a British national, took to the CBC radio program Q to say that both the UK and Canada need a national tax on sugary beverages. He says kids, particularly those who come from underprivileged backgrounds, are growing up living a far too unhealthy lifestyle. Would a tax change that behaviour? The evidence says no. According to a report from the University of Wisconsin-Madison, such taxes might not have any effect at all on obesity rates. 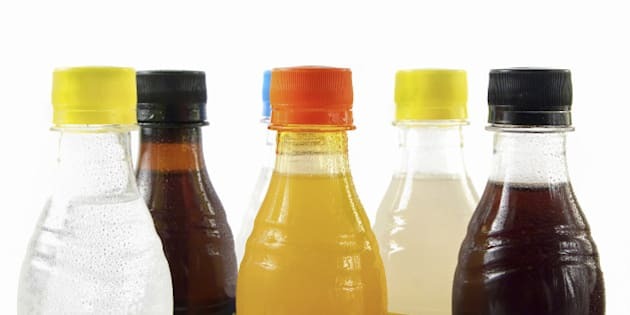 The research shows that when people choose not to consume pop they simply go to another source to get their calorie fix. Even studies that do purport a drop in weight show only very small declines and are not "statistically significant" the report says. This is backed up by evidence that shows pop consumption has been on the decline for more than a decade, yet waistlines are getting bigger. The correlation between pop consumption and a healthy society is fuzzy at best. And if we're planning to round up all the pop drinkers and make them pay more because of what they are doing to our kids, then where does it stop? Who is going to decide what the definition of a sugary drink is and who will be the ones who decide what is bad for us and what isn't? For example, what about lobster tails covered in butter, are those good for you? Or Acadian Maple Walnut Fudge? How about Cabot Trail coffee with Glen Breton Whiskey and Cabot trail maple cream? If these things are bad for us, would Chef Oliver propose at tax for all these things as well? You won't likely see Chef Oliver push for a tax on any of these items because he sells them. All of these foods were also on the menu during a Chef Oliver event at Pictou Lodge in Nova Scotia in late October. Deciding what is bad for us will end up falling to the government, and that means big business for Ottawa lobbyists as each tries to convince the government what should be included or excluded from extra tax. Recent changes to Canada's food guide that sets out healthy foods attracted interest from over 100 businesses and industry associations, many of them making submissions about why one food belongs in the guide and another one should not. Who should decide what you and your family should eat and what is good for them? Should it be you or some government official who's been the subject of millions of dollars of lobbying? The only clear winner with these types of taxes is governments. They earn new revenue while working taxpayers foot the bill. Chef Oliver -- who travels to Canada on a private jet and recently purchased a 10 million pound home in North London -- probably won't worry too much if the government charges an extra tax on a can of pop. But this tax would fall on those rich and poor alike, adding another burden on working Canadians who could least afford it. Celebrity endorsements deserve scrutiny and a pop tax would do nothing more than build a bigger government bureaucracy, punish working families who will have to pay the new tax and take away the freedom of Canadians to decide for themselves what is "good" and what is "bad" to eat.